The Master Guide Bible Experience (MGBE) is a Bible-testing program aimed at challenging participants to go deeper into the study of God’s Word. 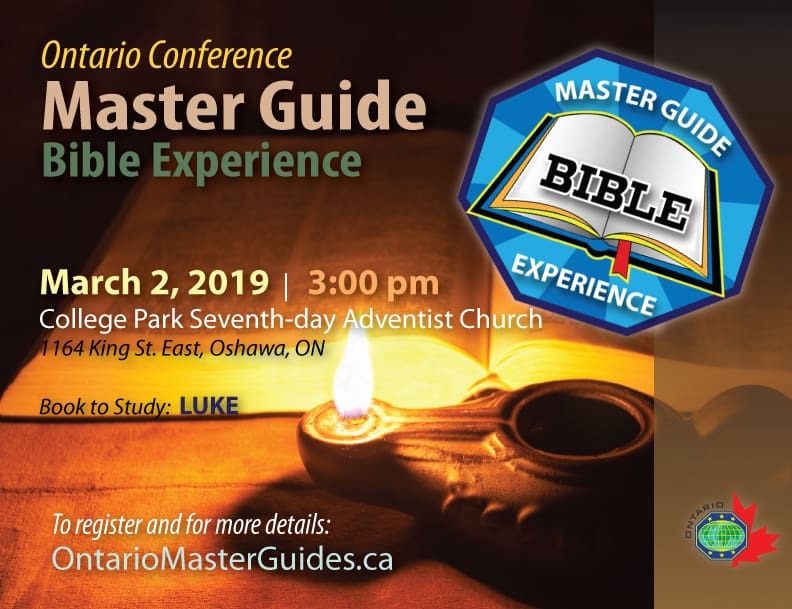 The Ontario Conference has already launched Bible Experience events for both Adventurers and Pathfinders. 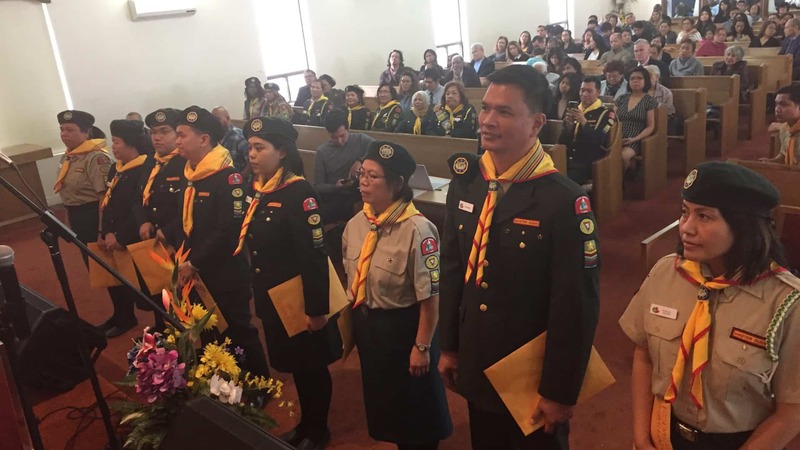 And as leaders of children and youth, it would be proper for Master Guides to join also this exciting adventure in studying Scriptures. In conjunction with the Pathfinder Bible Experience (PBE), the MGBE will be held on the 1st Sabbath of March each year. PBE is a multi-leveled event (i.e., district, Conference, Union, and Division), while MGBE will just be a one-time event each year. At the conference-level event, the same 90 questions will be asked for both PBE and MGBE. However, the grading for Pathfinders and MGs will be separate.